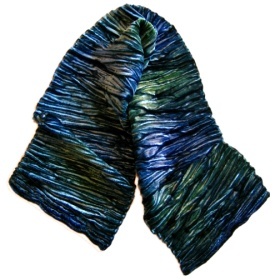 Arashi-art to wear accessories are created using Japanese dye techniques called shibori. These techniques have been used for centuries, by many cultures, to create beautiful and unique textiles. 'Arashi' or 'storm' in Japanese, reflects the natural beauty and energy that these textiles evoke. All Arashi textiles are designed and created by Wilma Butts. The Arashi-art to wear studio is located in the historic city of Halifax, Nova Scotia on the beautiful and rugged coast of Atlantic Canada. The natural beauty of this environment provides a constant source of inspiration for the work that you see on this website. 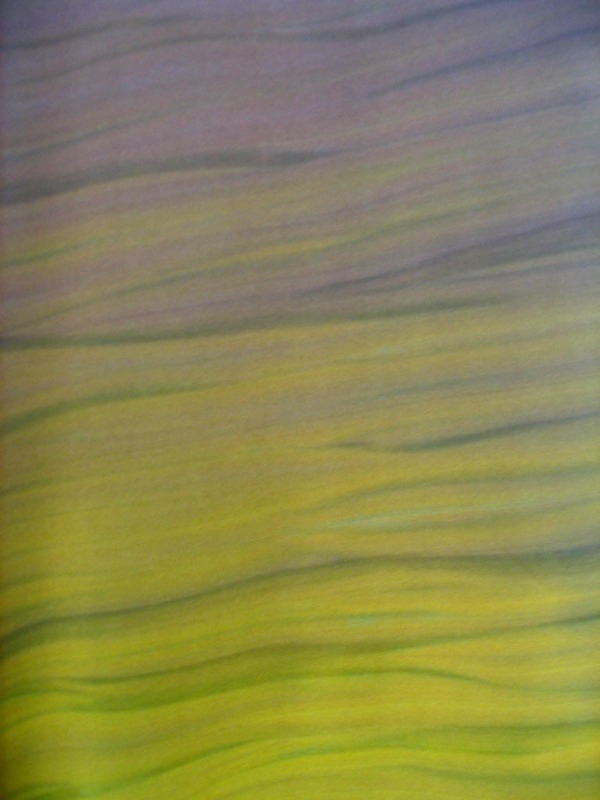 The exploration and interpretation of traditional shibori 'shaped resist' dye techniques provides another source of inspiration for Wilma's work. This spontaneous and dynamic process is reflected in the energy of the textiles. Click here to see a pdf copy of the Craft News article..
Review of 'Freewave' from the Halifax Herald. 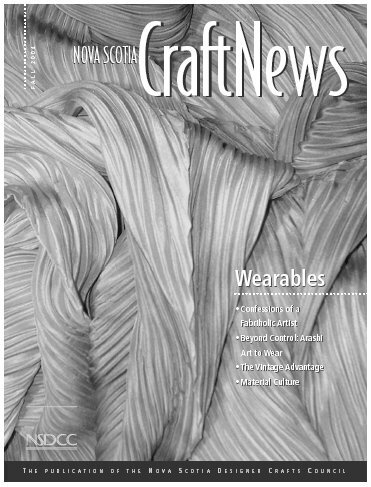 Pleated Velvet Scarf featured in Citizen article. Read the Ottawa Citizen article, "Think Globally, Buy Locally". I create textile art using dye techniques called ‘shibori’ . The term comes from the Japanese verb ‘shiboru: to wring or squeeze’. 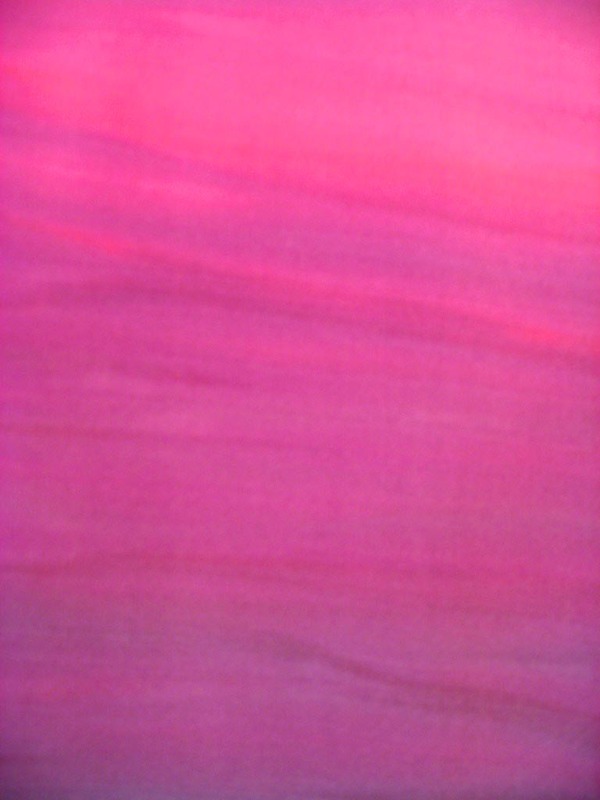 Shibori ‘shaped resist’ dye techniques involve the manipulation of textiles during the dying process by pleating, stitching, wrapping, binding and other forms of physical resist. These techniques have been used for centuries to create beautiful and unique textiles. I create each piece of textile art using a combination of traditional and adapted techniques, and a few secret ingredients. The fibre is shaped by hand and then dyed using fibre reactive and pigment dyes. This process continues and often repeats until the work is complete. 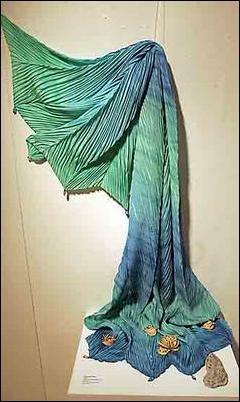 Why do I love shibori? While I enjoy using other dye and paint techniques, none hold my interest like shibori. For me the true magic of shibori is that it captures or ‘freeze frames’ all of the energy which the cloth encounters during the dyeing process. The tension of the fibre, the hand of the maker, the reaction of the dyes, the compression of the stitching or binding, the heat and humidity of the day, these forces are frozen in the visual image that is left on the textile. With shibori, you must accept that the process cannot be totally controlled. You work in partnership with the dyes and fibres to create something unique and beautiful. There is always a great sense of anticipation as you reveal a finished textile. When the cloth is released the patterns that reveal themselves are vibrant, organic and spontaneous. Even if the outcome is not exactly what you expected, the experience teaches you something new about the process. Every day I discover something new and exciting about these traditional dye techniques. Another important aspect of my work is colour. The inspiration for most of my colour combinations comes from nature. The island of Cape Breton, where I was raised, and the coast of Nova Scotia, where I live, provide a constant source of inspiration for my work. If I see a beautiful sunset or dramatic rock formation I make mental notes about how the colours work together. When you look at my work you may see a stormy Atlantic sky, calm waters, rugged cliffs or a glimpse of my garden. I create each textile piece by hand in my studio in Halifax, Nova Scotia. Working alone allows me to maintain a high standard of quality and creativity in my work. Because of the spontaneous and adaptable nature of shibori, the work continues to evolve and lead me in different creative directions. I look forward to seeing where it will take me next. One thing remains constant: the process and the outcomes are a source of joy and inspiration for me. I hope that this joyful energy transfers to the work that I create.